To kick off the 2019 Columbus, GA Whitewater Season, Uptown Columbus is hosting RiverFest Weekend presented by Salt Life May 3rd and 4th! This Tony Award-winning musical megahit returns to the Springer for a victory lap on the mainstage with the same dazzling cast that broke box office records in 2017. The show opens on the fateful night of December 4th, 1956, when an extraordinary twist of fate brought Johnny Cash, Jerry Lee Lewis, Carl Perkins, and Elvis Presley together at Sun Records in Memphis. 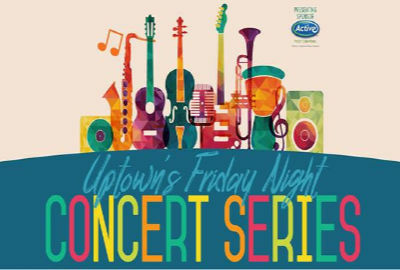 Hit songs include Blue Suede Shoes, Walk the Line, Sixteen Tons, Who Do You Love?, Great Balls of Fire, Folsom Prison Blues, Whole Lotta Shakin’ Goin’ On, Hound Dog and more. 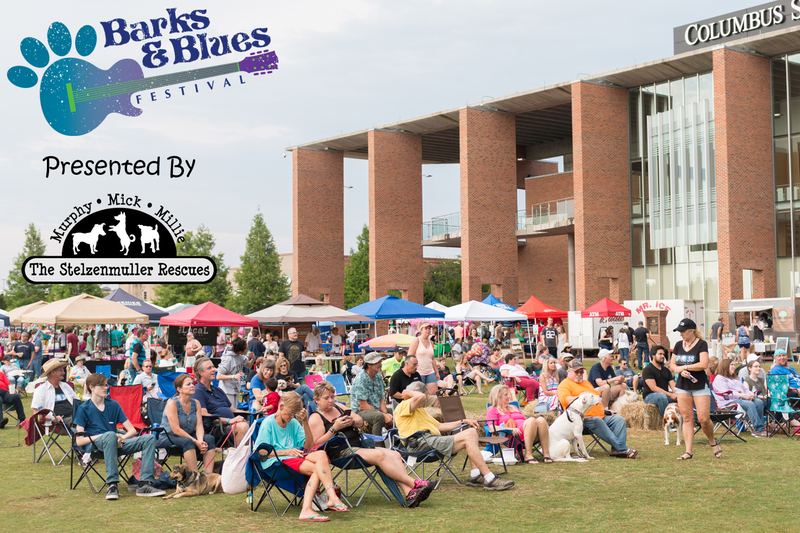 GET EXCITED FOR OUR FOURTH ANNUAL BARKS AND BLUES FESTIVAL SCHEDULED FOR MAY 11, 2019! This year we are excited to announce this pet friendly event will be held at the beautiful Woodruff Park on the Riverfront in Uptown Columbus for the 2nd year in a row and will include great music & entertainment, a pet costume contest, food & beverages, raffles, vendors, and a kids zone. There will also be adoption specials for the wonderful animals that will be on site. 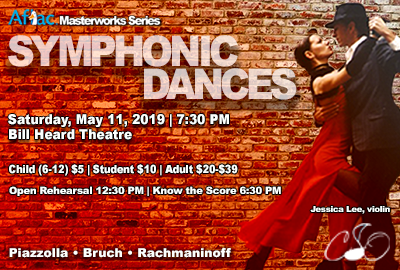 Piazzolla and Rachmaninoff will have your toes tappin’. Bruch’s well-known violin concerto will give you a chance to rest between dances.